December 18, 1925 - December 18, 2018 An icon of Milwaukie and the Clackamas County area, William 'Bill' McDonald passed away on his 93rd birthday at his home with loved ones by his side. An icon of Milwaukie and the Clackamas County area, William "Bill" McDonald passed away on his 93rd birthday at his home with loved ones by his side. He was born in Colchester, England to William and Emily McDonald. His family was not wealthy, but his extreme intelligence provided an opportunity to attend private school on scholarship. In 1940 at age 14, he and his sister, Fay Knittle, age 12, crossed the Atlantic to escape the bombings in England, landing in New York and traveling to Portland by train. A local Milwaukie couple, the Ferchlands, were their sponsor. His loving parents paid for the voyage and keep with their very limited funds, and Bill had jobs as well. It was a hard childhood that he accepted without complaint. After graduating from Milwaukie High School he served 5 years in the US Military. Bill was in the US Army in Company "B" 17th Infantry in Okinawa and Korea. 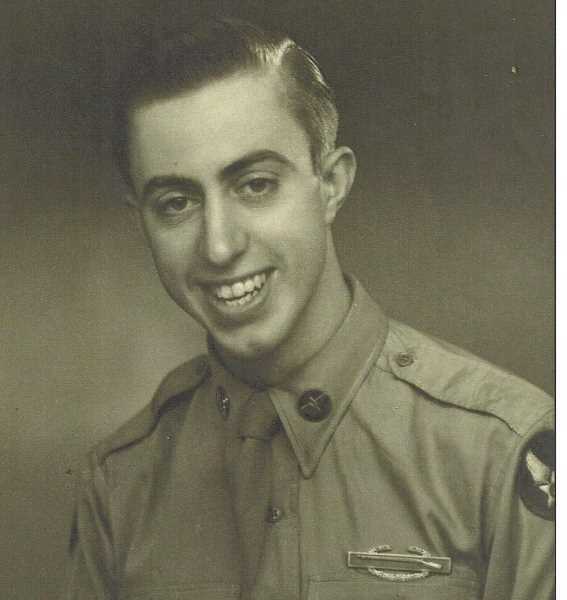 After two years he enlisted in the Air Force and served in Bavaria with First Radio Relay Squadron in the Air Force. He was forever scarred by his service, but as most of that brave generation, he did not share much. It was a duty to his new country that became his home. While serving in Bavaria he met Christa Stelzmann, who became his wife. She had escaped from the Nazis and Russians in what was East Germany. They built a wonderful life and enjoyed 45 years together before her death in 1994. After his military service he attended Reed College and Willamette University, graduating in 1955, then worked for Ticor Title. In 1959 he started his lifelong practice as a private practice attorney in Milwaukie, retiring in late 2017. Near the time he began his law practice his next chapter of life started with the surprise birth of twin girls, when only one baby was expected. His civic duties included De Molay as a youth, Past President of Clackamas Bar Association, Lions Club, Charter Member of the Elks Lodge, Milwaukie Historical Society, North Clackamas Chamber of Commerce, and served on Boards for The Ledding Library, Friends of the Milwaukie Center, and Providence Milwaukie Foundation. He also represented North Clackamas Schools in the early 70's. He enjoyed trips to China, Europe, Hawaii, Florida, Boston, California, and a favorite trip was an Honor Flight to Washington D.C. Among many honors are being named the Irwin Adams Lifetime Community Achievement recipient and recently being awarded a Rotary International Paul Harris Fellow. His last few years were spent at Glenmoore Retirement, where he made many good friends and enjoyed activities provided. Bill was a brilliant, stoic, strict man with a loving heart; hardworking, honest and ethical, with a dash of impatience for ignorance. He leaves behind twin daughters, Margaret Sheldon and Christine Larson (Barry); loving grandsons, William Larson and Blake Sheldon (estranged); and special friend, Wilda Parks. A Funeral Service will be 10:00 a.m., Thursday, December 27, 2018 at Stehn Family Chapels, Milwaukie, OR; followed by a reception at Milwaukie Masonic Lodge and Cemetery Service with Full Military Honors 2:00 p.m. at Willamette National Cemetery, Portland, OR. In lieu of Flowers, donations suggested to Milwaukie Providence Foundation, or Milwaukie Historical Society. For more information please visit www.stehnfuneralhomes.com.